Gloria Powell loves flowers. They convey to her the sense of beauty, love, thrilling moments, compassion and sharing, excitement, and peace. 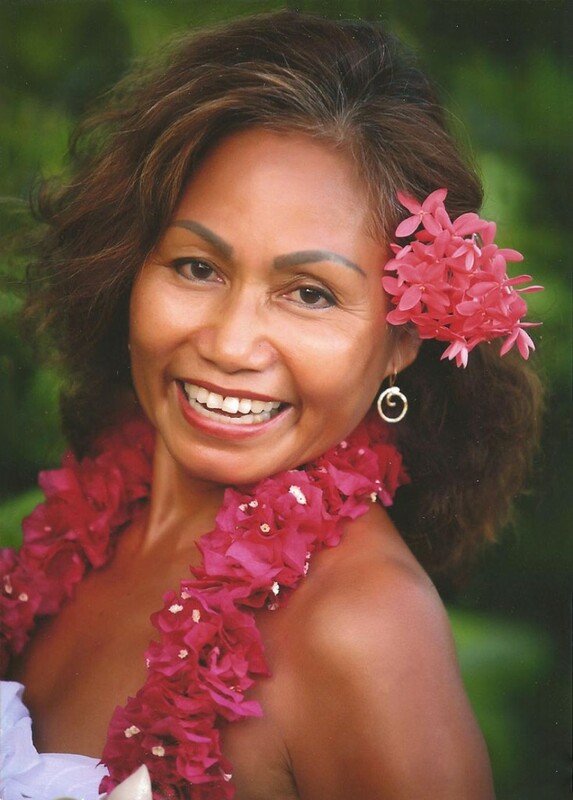 Being born and raised in the Philippine Islands, she has been surrounded by the glory of flowers all of her life and has never lost the love for all flowers and tropical flora. Gloria immigrated to the U.S. and lived in the mid-west, east coast, and the Pacific Northwest, settling between Portland and Seattle. While in the northwest, Gloria cultivated her innate design skills by attending and graduating from Seattle’s Floral Design Institute. She worked as an apprentice with master florists in the region, and continued education at conventions and seminars. For several years, Gloria participated in The Seattle Wedding Show, partnering with floral wholesalers to showcase their blooms via her creation of specialty display bouquets. Working with the master florist at Larry’s Market in Bellevue, Washington, Gloria learned about wholesale buying and how to properly process and care for flowers to increase their longevity. She also became knowledgeable on what countries and floral farms grow the best products. While in Seattle, Gloria was inspired by the amazing variety and colors of flowers that could always be found at Pike’s Market and she learned to appreciate color and texture. In 1993, Gloria and her sister opened “Gladstone Florist” in Milwaukee, Oregon. After traveling to the Virgin Islands for years, in 2005 Gloria and her husband, Steven, decided to make St. Croix their permanent home. Here her love for tropical flowers was reinvigorated. She soon recognized a demand for local floral arrangements and began sharing her designs with local businesses and personal clients. From this grew a recognition from wedding planners, photographers, and venues, and referrals for her service grew. Destination resorts soon turned to Gloria for support for weddings and other special events. Working with wedding clients, Gloria pays very close attention to their needs and desires, and often provides a combination of local flora and foliage, and mainland flowers, designed specifically to their taste. Her attention to detail and on-site support on the wedding day, are added values that are often overlooked. Gloria is always excited to share the love for her craft, and that love is a cornerstone of her business relationship with all her clients.